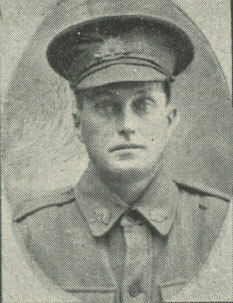 Cyril Abraham, 27, a miner of Eumundi, joined the war effort in 19 October 1917. He trained in Enogerra Brisbane and set sail from Sydney on the HMAT Ormonde on 3 March 1918 to Suez for further training. He was put into a segregation camp in the Suez as he contracted measles. Discharged he went to Codford England for further training – then to join his Battalion in Havre, France. It is unclear whether he ever saw any active service as he was taken sick again and moved form hospital to hospital. 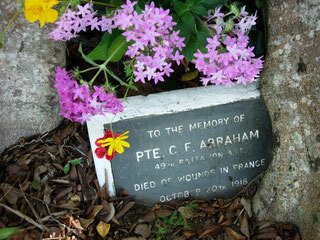 On 20 October 1918 he died of acute pneumonia while in France and was buried in Dury Hospital Military Cemetery. When the hospital became a lunatic asylum in the 1920’s his remains and hundreds of others were moved to Villers Bretonneux Military Cemetery, France. As a consequence of the reinterment one of his brothers was sent a momento... watch the short video below to find out more.